Continuing from part 1 – you cannot have a hero without a villain for them to fight. Well, if you enjoyed our round-up of the first group of baddies, you’re going to love this next bunch as they are the ones that are the most iconic! Rather than a specific race, The Silence are a religious order. Their agents on Earth have been there since before the dawn of mankind, directing human evolution. Through the use post-hypnotic suggestion, The Silence makes people who see them instantly forget their existence. After an incursion with The Eleventh Doctor, Amy, Rory and River Song, the Silence became known to mankind, temporarily halting their plan. They used their agent Madame Kovarian to kidnap a young Melody Pond and raised her as the Doctor’s perfect assassin – otherwise known as River Song. In a time-shifting and parallel universe-creating ruse, the Time Lord managed to sabotage the plan. Upon receiving an impossible message, the Eleventh Doctor made his last journey to Trenzalore where he found his old friend Tasha Lem was working alongside the Silence. Here he discovered they blew up his TARDIS and created the very cracks in the universe which had followed him around (and from which the Time Lords would come calling). 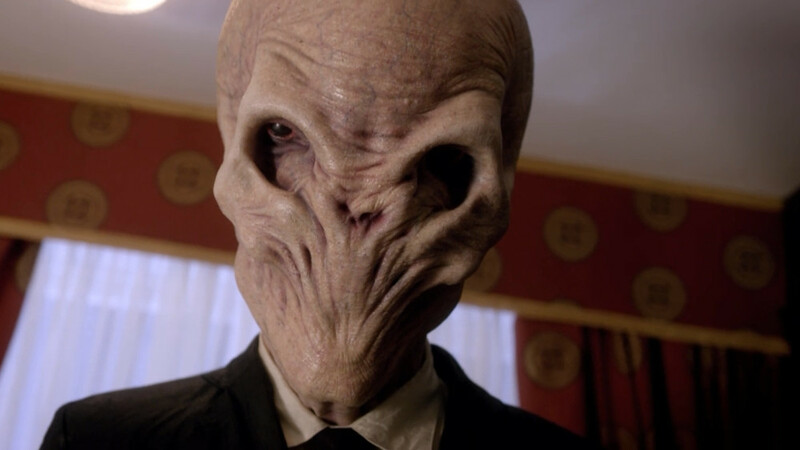 Despite trying to kill the Doctor, the Silence ended up as part of a Destiny Trap – “You can’t change history if you’re part of it,” claimed the Doctor. The Silence helped ensure the Daleks didn’t win the Siege of Trenzalore, thus fulfilling their prophecy. Known as “The Lonely Assassins”, the Weeping Angels are quantum-locked alien killers, as old as the universe itself. Little is known of their origins or culture. When observed, they freeze like stone, but in the blink of an eye, they can move vast distances. The touch of an Angel hurls their victim back in time – allowing the Angel to feast on the energy of their unlived days. Initially, the Tenth Doctor encountered four Angels, who sent him back to 1969. He left clues for Sally Sparrow to find and help trap them – releasing him and the TARDIS. Later encounters have seen a whole mausoleum of statues, tiny cherubs and even the Statue of Liberty transformed into Weeping Angels. Both Amy and Rory were trapped by a Weeping Angel when it sent them back to 1938 to live out their lives together. In the 51st Century, the Doctor trapped the Angels in a crack in time, erasing them from history. 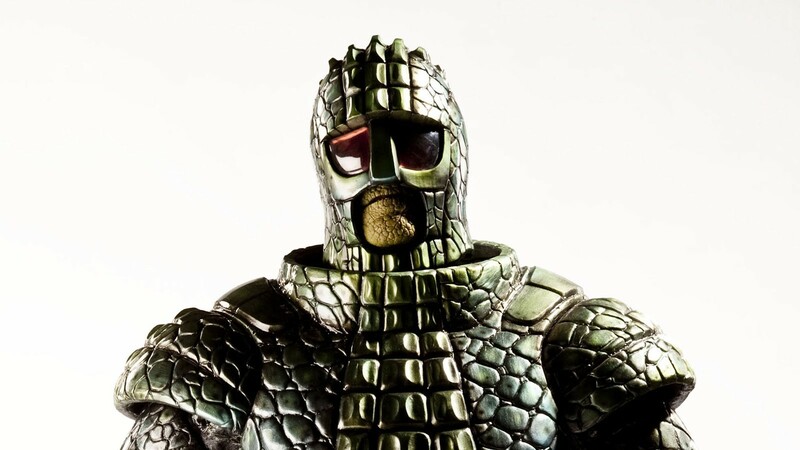 Described by the Tenth Doctor as “a fine and noble race who built an empire out of snow”, the Ice Warriors were a species of reptiles from the planet Mars. They were twice encountered by the Second Doctor – first, when their crashed ship was thawed out of a glacier during a future Earth ice age, and then when they tried to take over the Earth’s trans-mat system. On both occasions, the Warriors were dangerous aggressors. In a subsequent meeting with the Third Doctor on Peladon, the Ice Warriors had renounced violence and entered the Galactic Federation. Many years later, the Eleventh Doctor and Clara met sole Ice Warrior Skaldak aboard a Russian submarine, the Firebird, on Earth in the Eighties whilst the rest of his race were scattered across the universe (including one hidden in a Trap Street in London). The Twelfth Doctor and Bill met Ice Queen Iraxxa on Mars in 1881 which led to contact with Alpha Centauri and the dawning of the Martian Golden Age. Originally born on Earth’s twin planet Mondas, the Cybermen were created as the Mondasians replaced parts of their dead bodies with plastic and steel. Eventually, they added emotional inhibitors, suppressing all feelings – love, hate, even fear. 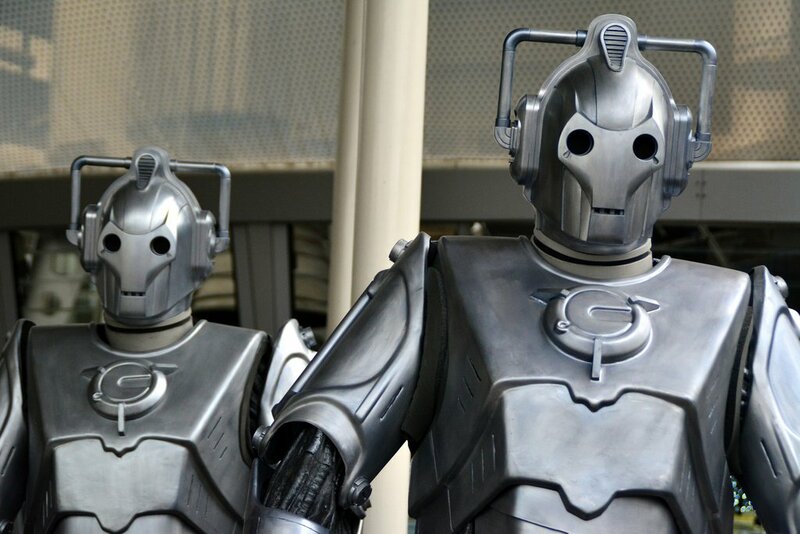 Cybermen can convert humans wherever they go, and take orders from a Cyberleader, whose data can be downloaded to a drone if the leader is destroyed. Like the Daleks, the Cybermen have dogged the Doctor through space and time. He has prevented them destroying Earth’s weather system, getting their hands on the Nemesis statue and taking over Victorian London with their Cyber-King. The Tenth Doctor visited a parallel universe, where Cybus Industries had developed Cybermen to prolong John Lumic’s dwindling life. Shortly after, these Cybusmen came crashing through to our own universe – and battled with the Daleks! Invasion is always on the Cybermen’s minds. Whilst traveling with Clara, the Gallifreyan discovered an army of the silver soldiers at the “biggest and best amusement park there will ever be”, Hedgewick’s World. At the end of his time, a wooden Cyberman (along with Sontarans, Weeping Angels, and Daleks) came to defeat the Eleventh Doctor at Trenzalore. It wasn’t long before the Twelfth Doctor was up against his old foes. This time the Cybermen were recruited by Missy, formerly known as The Master, as she turned the dead into a new Cyber army on Earth. 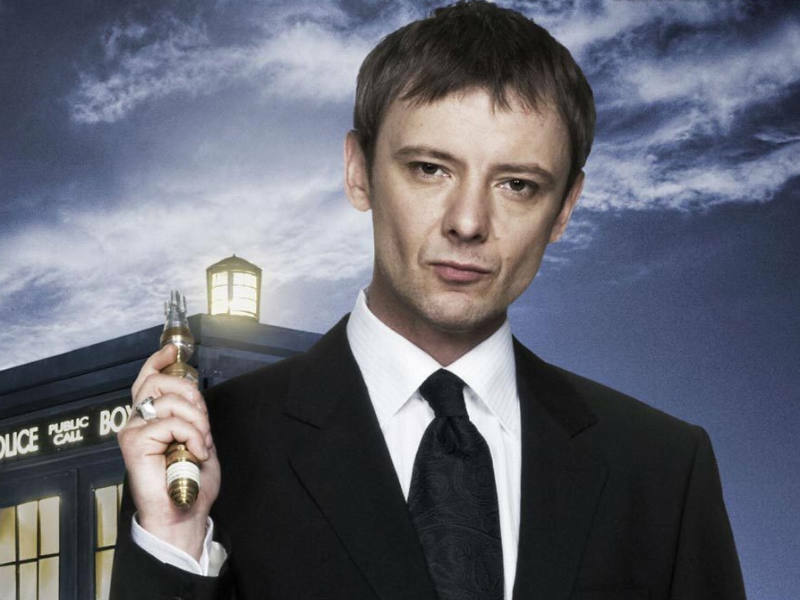 A childhood friend of the Doctor, the Master was driven insane after looking into the Untempered Schism on Gallifrey at the age of eight. Like the Doctor, he fled from the Time Lord’s home planet in a stolen TARDIS. However the Master’s motives have never been pure – frequently seeking alliances with aliens like the Daleks, the Nestene Consciousness and the Rani in an effort to conquer the galaxy. Running out of natural regenerations, he began assimilating other bodies, before eventually dying. Resurrected by the Time Lords as the perfect warrior, he fought in the Time War before hiding – first as Professor Yana then as Harry Saxon. Shot by his wife but being once more reborn, he was last seen forcing Rassilon and the Time Lords back into the hell of Time War-ravaged Gallifrey. A gender-changing regeneration took place (where and when we do not know…, yet), and then Missy then sought out her old friend, the Doctor. She meddled in his doings for some time before revealing herself to him in London’s St Paul’s Cathedral flanked with her own Cyberman army. Typical of the renegade Time Lord, Missy had set a trap for her foe but he was not to be beaten. Not only that, the naughty Gallifreyan also lied to the Doctor about the location of their home planet. A swift escape ensued and Missy attracted the attention of UNIT, who sent Clara Oswald as their negotiator. But peace was not on the Time Lady’s mind. She had brought the Doctor’s Confession Dial and used Clara to track down the Doctor. Her plan worked, though Missy would end up at the end of a Dalek sucker and Davros to deal with. After some time, Missy was sentenced to execution and the Gallifreyan’s regenerative ability was to be disabled. Due to her Fatality Index, the sentence had to be carried out by another Time Lord – in this case, the Twelfth Doctor. Thankfully, for Missy, her old friend didn’t feel like killing her but did, instead, agree to keep her in a Quantum Fold chamber for 1,000 years – she was placed in The Vault in St. Luke’s University, Bristol. But the Doctor couldn’t go on without trying to improve his old friend and took Missy out of The Vault and into space and time. Unfortunately, this resulted in the Doctor’s former ‘crush’ (his words) coming face-to-face with an earlier incarnation of The Master, last seen alongside the Tenth Doctor. 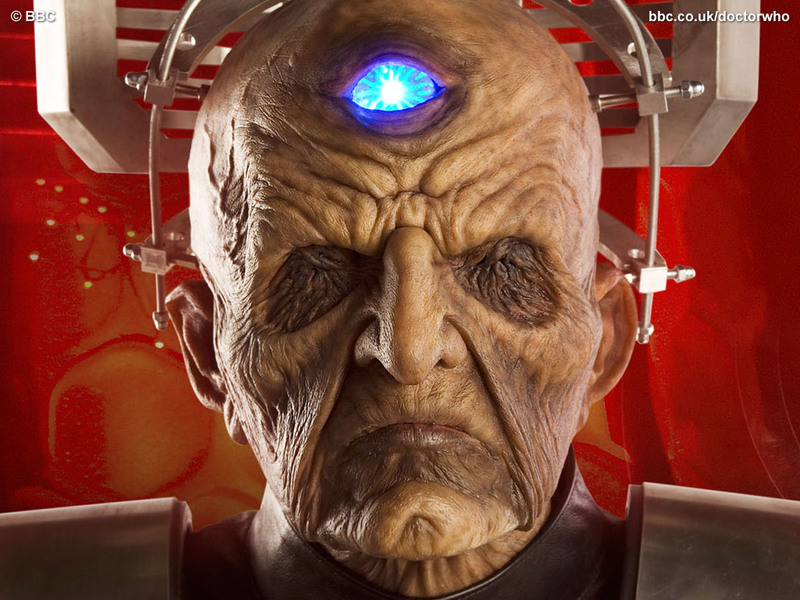 Davros was Chief Scientist of the Kaleds towards the end of their thousand year war with the Thals on the planet Skaro. Confined to a mobile life-support system, Davros developed a final solution to end the war: The Daleks – mutated Kaleds robbed or morality and with added aggression, placed inside armored shells called the Mark III Travel Machines. However, his own people rejected the notion, and in retaliation, he gave the Thals the formula to destroy the Kaled dome. Safe in the bunker below, Davros released the Daleks on an unsuspecting world. However, the Daleks turned upon their creator and left him for dead in the bowels of the city on Skaro. Years later, the Daleks sought his help to defeat their logical stalemate with the Movellans and then again to defeat the Movellan virus. Later he became The Great Healer, turning the bodies of the dead into food, or new “Imperial” Daleks. His grip on the Daleks weakened, as a renegade faction grew up – loyal to the Supreme Dalek – plunging them into civil war. He commanded Dalek forces during The Last Great Time War and was seen flying into the jaws of the Nightmare Child. Rescued by Dalek Caan, Davros constructed the Reality Bomb but was foiled by the Children of Time. Escaping the burning wreckage of the Crucible, Davros traveled to Skaro where he used his servant Colony Sarff to lure the Twelfth Doctor to his lair. Predictably, as ever, his scheming was undone though the scientist was last seen in the company of Missy. What treachery could they be planning…? Daleks are merciless and pitiless cyborg aliens, demanding total conformity, bent on conquest of the universe and the extermination of what they see as inferior races. Their catchphrase, “Exterminate!”, is a well-recognized reference in throughout space and time. 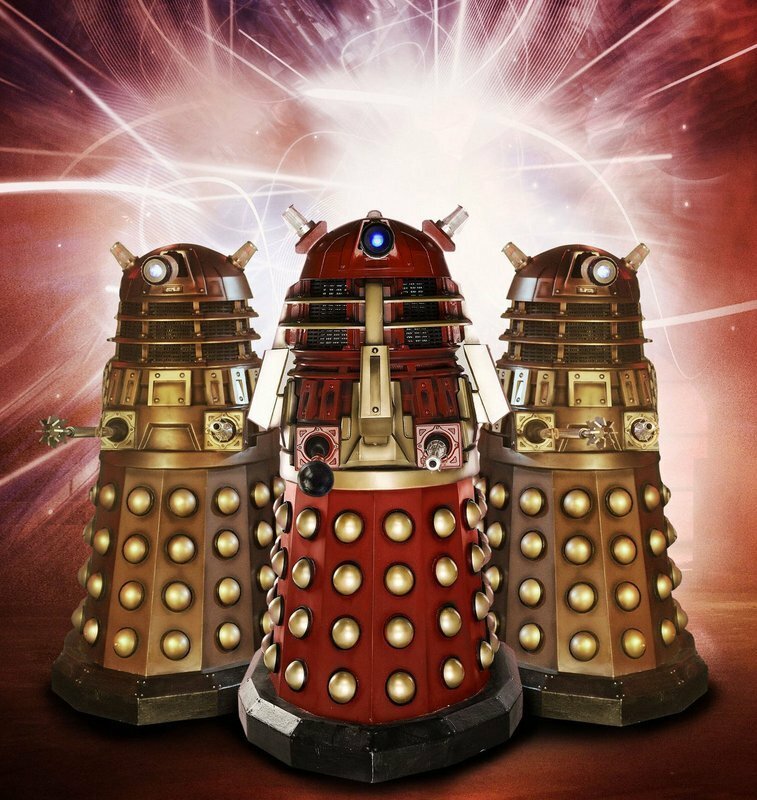 Within the programme’s narrative, the Daleks were engineered by the scientist Davros during the final years of a thousand-year war between his people, the Kaleds, and their enemies the Thals. With some Kaleds already badly mutated and damaged by nuclear war, Davros genetically modified the Kaleds and integrated them with a tank-like, robotic shell, removing their every emotion apart from hate. His creations soon came to view themselves as the supreme race in the universe, intent on purging the universe of all non-Dalek life. Collectively they are the greatest enemies of Doctor Who. Of course, just like the Time Lords, the Daleks escaped too and the naughty little tanks teamed-up with their creator Davros in a bid to use the Doctor’s regenerative powers to enhance their race.